Here is an example of the Mego Star Trek U.S.S. Enterprise Action Gift Set that was the standard enterprise that included the figures. This is the second example that I have seen on eBay in recent years. The tragedy here is that the real value behind this set is the original box itself, however bagged T1 Mego Star Trek figures can demand a premium in themselves as well as the bagged Enterprise contents. Here we have The Enterprise Gift Set playset, made by Mego for the 8 inch Star Trek Line. This is considered a grail among Mego and Star Trek Collectors. There are only 3 of these sets known to exist in private collections. 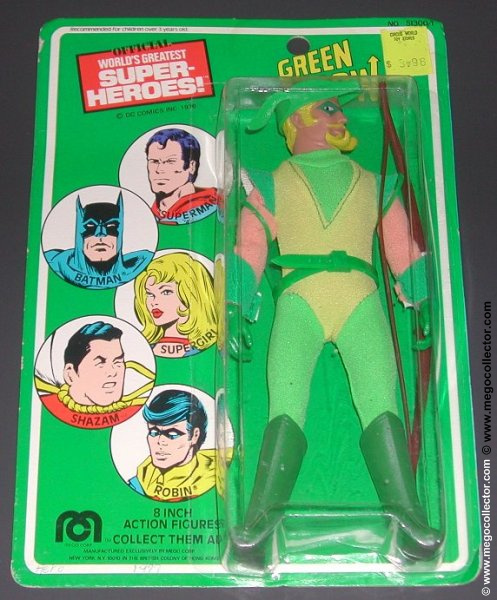 This was a specialty item Mego produced in very low quantities. The box is yellow where the common version is white and it says “Gift Set”. It comes with the first 5 figures… Kirk, Spock, McCoy, Scotty, and Klingon. All figures are the very first version with unpainted lips and t1 bodies. All are mint, still in the original cello baggies they came in. The Playset itself is unused with instructions and unapplied stickers. The box has wear as seen in the pictures, but it is all there. This file is dated 11/14/2002. This file is dated 03/21/2005. I know that I have seen this on a another site or two, however, this one did come from eBay.